The battle between Amazon and Hachette went on for months, finally coming to a resolution in November (2014). The big boys were duking it out, and neither of them came off particularly well. I’m no big fan of big traditional publishers. Just like Amazon, they are a business first and support readers/authors/books second, if at all. They have a bad track record with embracing ebooks and the digital side of the industry. They don’t give authors good royalties for ebook sales. Their contracts are minefields that can hobble an author’s career unless you are very careful or very lucky. However, they are more dependent on a healthy book industry, as it’s the only industry they’re in. Amazon does not have this focus (this will come up later). They key here is to figure out which one will benefit books, authors, and the industry as a whole, in the long run. And as far as I can tell, if Amazon had got what it wanted, it could well be a disaster for the book industry. Why should we care at all? It’s just one company against another, right? Well, yes and no. 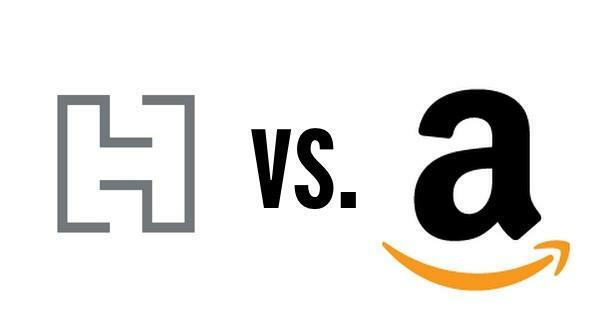 This battle might have been between Amazon and Hachette, but the future fallout is much broader than one single distribution agreement. The crux of the battle was Amazon trying to change the terms of the distribution agreement it has with the big publisher. The timing was driven by the contract with Hachette being up for renewal. In the near future, the contracts with the other big publishers will also come up for renewal and they’ll have the exact same battle on their hands (I believe Simon and Schuster snuck in and renewed their deal while this battle was going on). What happened with Hachette set the pattern – the precedent – and makes it difficult for a different outcome to occur in subsequent negotiations: if Hachette had fallen, so will all of the big publishers. That’s why this section is ‘Amazon vs Big Publishing’, not just Hachette. Why would that be a bad thing? Well, that all depends on what Amazon and Hachette are demanding. Let’s talk for a moment about the Book Depository. What does that have to do with all of this? Bear with me and I’ll explain. The Book Depository was an online bookseller (of physical books) that was built on the basis of supplying really, really cheap books direct to your door. It undercut standard book prices and made no profit whatsoever, but because it offered such cheap prices, it gained a massive market share. It sold for silly amounts of money (to Amazon, who was protecting its market share, but that’s actually beside the point here). The man behind the Book Depository had no interest in books, writers, or readers (he came out and said as much). His business practices threatened to crash (paper) book prices and reduced the royalties that made their way back to writers. He never made real money from the business itself. It was never intended to be a sustainable business model: the sole purpose of the business was to build up a big enough market presence to make it a saleable company, and to make a small fortune from it. This is exactly what he achieved. There’s nothing illegal about what he did. It’s a legitimate business tactic, as long as you don’t give a crap about the industry you’re playing with. It’s still reprehensible in my book, where irresponsibility like this can rob hard-working people of their income. You come in, you make a mess, then you skim off enough proceeds to make the millionaire list and leave the fallout to those left in your wake. Now let’s look at Amazon’s history with the big publishers. It signed distribution agreements with the big publishers several years ago, with a certain set of terms. These terms were most likely to be pretty favourable for the publisher, because Amazon was building its market presence at the time and needed to make those deals for its online bookstore idea to become competitive in the market. It undercut the market to grab customers looking for good deals. Fast-forward a few years to now and Amazon is well-established. It doesn’t need to make concessions to entice a publisher into a distribution deal any more. It can go toe-to-toe with the big fellas in the industry – and it is. It can make its own demands and rewrite the deal for its own benefit. It’s a success story for Amazon. Is Hachette just being stubborn because it enjoyed a favourable deal all this time and doesn’t want its toys taken away? Maybe. I don’t know all of the details of the deals, past or present. But I am sure that it’s not that black and white. This is no hero and villain scenario. I do know some of the contention between the two companies. Part of what Amazon was demanding was to control the price of ebooks. It also wanted to dictate how much of an ebook’s price goes to the author. Both of these things are bad. Firstly, dictating an author’s royalties? Quite frankly, this is none of their business. An author’s royalties are contracted with their publisher and Amazon has no need to even know what that rate is. Amazon’s interface is entirely with the publisher; that’s part of what a publisher is for. Big publishers do offer terrible royalties for ebook sales, this is true. It’s one of the reasons that I have a lukewarm opinion of traditional publishing (for my own work), because I’m not sure I’d put up with it. However, I don’t expect an external company like Amazon to stick their oar into my personal contract negotiations, especially ones that have nothing to do with them. This sounds like pure propaganda to me: Amazon trying to get the authors on their side. It could also be a move for Amazon to control a publisher’s internal finances; after all, if they can dictate how much is going to the author, they are also dictating how much the publisher is getting. What company would give another company that kind of power over their finances? Controlling the price of ebooks is a bit less straightforward. On the surface, it sounds a lot like businesses protecting their bottom line: Amazon want to offer ebooks at lower prices to make more sales, and make everyone more money; Hachette want to be able to keep their higher-priced ebooks to make more per sale. Amazon are also making a lot of noise about how ebook prices will create a better experience for readers (more on the source of this later). Underneath that, there’s more to it. Smashwords does a good job of explaining what this control of ebook prices could ultimately lead to. John Scalzi also wrote a post that had an interesting point: publishers like Hachette might want to keep ebook prices higher than average to avoid crashing the paper book market. It’s not in their interests to damage the paper book market: fewer paper book sales mean fewer bricks-and-mortar bookstores, which means fewer avenues to get their books to readers. It could effectively cut off a whole chunk of their market. Amazon doesn’t have this concern. It is only concerned with one bookstore: itself. Let’s also think about the impact of lowering ebook prices of traditionally-published books and well-known authors’ work on self-published authors. As Scalzi points out, lowering the ceiling on ebook prices means compressing ebooks into a much smaller price range. One of a self-published author’s key selling points can be that they can undercut the more well-known names in the business; readers are more likely to try an indie author if they’re cheaper than the big names. A smaller selling range means less wiggle-room to do this. Add on sales and discounts, and it’s even harder for a self-published author to stand out from the crowd. Other less concrete factors could also come into play, such as the perception of value. If everything is $9.99, how do you know what’s good quality? What about new releases? If the new Stephen King is available at $9.99 on release day, how many people will be willing to buy his backlist at the same price; if it’s older, it should be at least a little cheaper, right? Buyer expectations will drive other prices down, compressing the gap in which an indie might shine even further… you can see where I’m going here. Amazon’s dedication to the $9.99 price ceiling is particularly interesting when considering non-fiction books, because they’re commonly much more than that. How will this impact them? It’s another concern. There are a lot of things to consider about whether low prices across the board are a good or bad thing; these are just some of the things we should be thinking about. Ultimately, Amazon is claiming that it’s better for everyone. If that’s true, if it means more money for everyone in the industry, why would Hachette fight it so hard? They’re a business looking after their bottom line too, right? It’s just not that simple. Amazon is asking for control, which could have all kinds of (potentially unpredictable) impacts on Hachette and the other big publisher. Who, in their right mind, would hand control of their business’s bottom line over to another company? This is where I come back to the Book Depository case. Amazon have done everything in their power to build their market presence and footprint. They’ve built themselves up by offering low prices and making little to no profit. Now, their teeth are showing. Amazon itself is not up for sale, so this is not the short-term money grab that the Book Depository was designed for. So what is its goal? Books are not the only kind of merchandise that Amazon sells. That might be where it started but it’s so much more than that now. I struggle to think of something I can’t buy on Amazon these days. It’s a megastore – or, more worryingly, you could call them a supermarket. And the danger with a supermarket is loss leading: selling certain items at such low prices that people are enticed in, and making the real money off everything else those people buy once they’re in the door. In the UK, loss leading in supermarkets force pig farmers to sell their meat at a loss just to get it sold at all. Milk farmers are in a similar situation, where the prices demanded by the supermarkets are so low that they are barely making any profit, if any. But if not for the supermarkets, they’d have no business at all. Are books the milk on Amazon’s shelves, drawing the punters in so they can be dazzled with tasty electronics and toys? This is conjecture on my part, but it’s where I see it leading. Their dedication to lowering prices makes me highly suspicious of this sort of tactic. I see no reason for Amazon not to do this, if it can get its way. Dictating prices is just the tip of the iceberg, and if we want a healthy, thriving book industry, catering to all tastes and price points, we can’t give control to an entity as self-serving as this company. Luckily, the stand-off came to an end a couple of months ago, with Hachette retaining control over its book prices and author royalties, and Amazon adding incentives for lower prices. For me, the key point is that Amazon did not get the control it was looking for. But the reactions still have dire overtones: will this battle happen again the next time the contracts are up for renewal? Will the big publishers eventually be worn down? How else will Amazon try to get its way? What will that mean for those of us who work in and enjoy the industry? Personally, I want to see Amazon’s power grab cut off at the knees, because I don’t think it will end well for anyone except Amazon if it’s allowed to continue. And I want to see the other big publishers follow suit, support Hachette. I suspect their authors already do. Which leads me neatly to my next post. Watch this space! Sounds like Amazon wanted to take over Hachette in all but name. Indeed, Francisco! The worrying thing is, Amazon’s sights are likely to be set a lot higher than just Hachette. I fear for the future of the publishing industry as a whole (traditional and self), if Amazon gets its way.